Jack Sigler, Callsign: King, field leader for a black ops organization known as Endgame, is accustomed to feeling capable of handling most any situation. It is a confidence forged in the fires of battle against both monsters and madmen. But the introduction of Asya, a sister he never knew existed, and the kidnapping of his parents has him reeling. Using Endgame’s resources, King and his ‘Chess Team’ (Queen, Rook, Bishop and Knight) scour the planet for his parents, tracking a man known to the world as Alexander Diotrephes, but known to King by another name. The legendary Hercules is alive, well and plotting something beyond imagining—something that will affect two thousand years of history. While the team is spread thin, an intruder walks past their secret headquarters’ defenses, sits himself down in the director’s chair and waits. When he’s discovered by Endgame’s coordinator, Tom Duncan, Callsign: Deep Blue, he’s easy to identify—Richard Ridley, the team’s oldest and most dangerous enemy, who is supposed to be dead. But he isn’t Ridley. He is a clone in search of his master, the real Ridley, who yet lives and is being held captive by the same man holding King’s parents. Believing Ridley is the only one capable of stopping Alexander’s plans, a temporary and tenuous alliance is formed, and Alexander’s location is soon uncovered. The team, along with three clones, heads for a citadel buried beneath the ruins of ancient Carthage. Already in the area, King and Asya arrive first to find their parents and a staggering family secret that leads to the end of King’s life as he knows it. The rest of the team arrives to find Richard Ridley free to act, an army of high-tech mercenaries bearing down on their location and evidence of their leader’s demise. King is dead. Long live King. 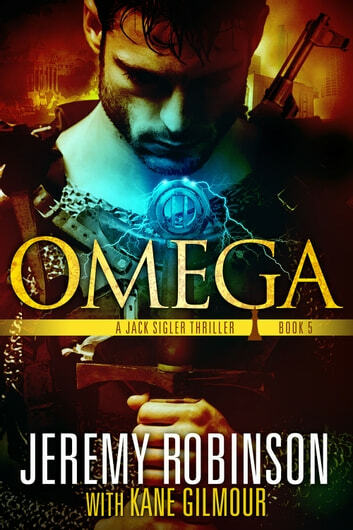 Omega is the fifth full-length novel in the Jack Sigler/Chess Team series, following Pulse, Instinct, Threshold, and Ragnarok, as well as the prequel novel Prime, and eight standalone novellas focusing on the individual characters in the series. Of all the Chess Team stories I think this is the most shocking. Lots of questions are answered. Page-turningly good. As always the action and characters are written extremely well. I am very please we have not seen the last of the Chess Team....long live King! The team has to face Riddley a The team faces Riddley one final time and King sojourn through the sands of time. I really enjoyed the book with all the action and conclusion to the story. I am a fan of Jeremy Robinson. 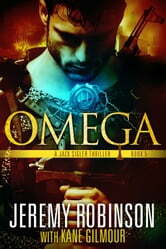 Omega is the epitome of what a good action/adventure novel should be. This is the Chess Team novel all the others have been leading to. It is done right! I've been reading a lot of Jeremy Robinson's books lately, especially all the Chess Teams. Once I started with Prime, I had to read them all. Omega was worth the wait! An Epic end to an Epic storyline. I've loved every one of the previous novels, yes, some more than others, but they are altogether one big, fantastic story-like watching a TV series on Netflix from start to finish, and this is the "series finale" that most shows never get. But it's not even the end!!!!! There's more books coming! This is good. So is Omega. Read at least the previous 6 novels first, but if you want the full story, read em all with the novellas in the middle. It goes: 1. Prime 2. Pulse 3. Instinct 4. Threshold 5. Call Sign novellas :5a King book 1, 5b Queen, 5c Rook, 5d Bishop, 5e Knight, 5f King book 2: Underworld, 5g Deep Blue, 5h King book 3: Blackout (King books available as Brainstorm trilogy) 6. Ragnarok 7. Omega That's a lot, I know. I was intimidated too. But so is watching 7 seasons of a TV. Same thing almost. And after Omega, which you should DEFINITELY BUY when you are caught up, you will be left wanting more just like me. And that's not really a bad thing!